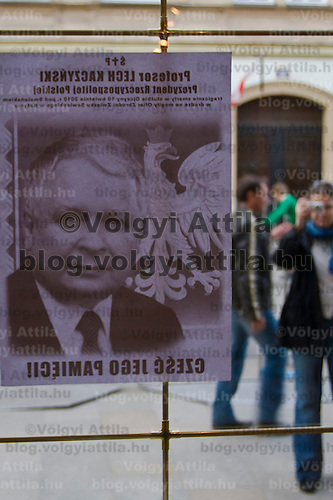 Photos of late Polish president Lech Kaczynski and his wife Maria Kaczynska are displayed on a cafe window during their funeral in Krakow, Poland. Sunday, 18. April 2010. ATTILA VOLGYI The presidental coupple died in the tragic airplane accident at Smolensk in Russia.